Before we begin discovering God’s apps for overcoming temptation, we need to define some terms. We must understand temptation is not sin, it is common all mankind, and we are bound to face it. 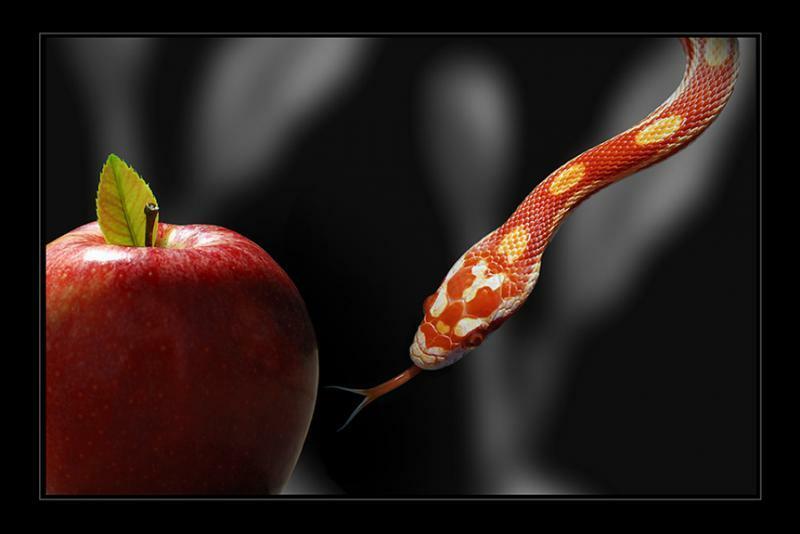 Temptation and sin are very different. Temptation is an option to something we desire, and it makes us decide who we will obey in the decision. Sin is self-love that decides with temptation to please self. Sin is self-centered living, a life apart from God and His Lordship. James 1:13-25 When tempted, no one should say, "God is tempting me." For God cannot be tempted by evil, nor does he tempt anyone; but each one is tempted when, by his own evil desire, he is dragged away and enticed. Then, after desire has conceived, it gives birth to sin; and sin, when it is full-grown, gives birth to death. Don't be deceived, my dear brothers. Every good and perfect gift is from above, coming down from the Father of the heavenly lights, who does not change like shifting shadows. He chose to give us birth through the word of truth, that we might be a kind of firstfruits of all he created. My dear brothers, take note of this: Everyone should be quick to listen, slow to speak and slow to become angry, for man's anger does not bring about the righteous life that God desires. Therefore, get rid of all moral filth and the evil that is so prevalent and humbly accept the word planted in you, which can save you. Do not merely listen to the word, and so deceive yourselves. Do what it says. Anyone who listens to the word but does not do what it says is like a man who looks at his face in a mirror and, after looking at himself, goes away and immediately forgets what he looks like. But the man who looks intently into the perfect law that gives freedom, and continues to do this, not forgetting what he has heard, but doing it-- he will be blessed in what he does. God does not tempt anyone. He has set before us life and death, blessings and curses, and given us the free will to choose. He desires that we choose life and blessings. Temptation comes either from our own evil desires or from the devil. We all have a sin nature with evil desires; albeit, my evil desires may be different from yours. In other words, what tempts me may not tempt you. The temptation begins in the mind. It is the battleground between good and evil. We think about our desire, we look at our desire, we are enticed (tempted), then we make a decision. If we act on that desire, take it, and use it for our gratification, we sin. This gives birth to death (the wages of sin) in our lives. This is the process of temptation and sin from the very beginning of mankind. Gen 3:1-6 Now the serpent was more crafty than any of the wild animals the LORD God had made. He said to the woman, "Did God really say, 'You must not eat from any tree in the garden'?" The woman said to the serpent, "We may eat fruit from the trees in the Garden, but God did say, 'You must not eat fruit from the tree that is in the middle of the garden, and you must not touch it, or you will die.'" "You will not surely die," the serpent said to the woman. "For God knows that when you eat of it your eyes will be opened, and you will be like God, knowing good and evil." When the woman saw that the fruit of the tree was good for food and pleasing to the eye, and also desirable for gaining wisdom, she took some and ate it. She also gave some to her husband, who was with her, and he ate it. Notice satan’s process here. It has not changed over time. It works so well, he doesn’t need another process. Nevertheless, we are not to be ignorant of the enemy’s devices, so pay attention to the important lesson here. Satan, a fallen angel, knows the Word of God, but he is a deceiver and he stretches the truth to make us doubt what the Word means. This is why he is a tempter. Notice his question of doubt, “Did God really say…? Then he misquotes God to confuse Eve about what God said. Eve gives a good answer although she doesn’t quote God exactly. God said nothing about touching the fruit. This misquote brings more doubt into her mind. Are you sure? Did I remember it right? Maybe that isn’t what God said. Although she had not considered eating the fruit from the tree of the knowledge of good and evil, the thought is now planted in Eve’s mind. Prior to the thought, she was content. Then she looks at the forbidden fruit. It appears good for food and pleasing to the eye (isn’t that how the advertising agency get us to buy their product? ), and desirable for gaining wisdom (isn’t wisdom a good thing? Or how about this temptation: you have to experience this yourself before you can tell others it is bad for them.). So the lure (temptation) attracts us—this will be good for you. So Eve takes it and eats it, just like a fish takes a lure and is hooked. For both the fish and mankind, the lure produces a slow death. Adam also succumbed to the temptation, “you shall be like God”. By trying to be like God instead of obeying God, Adam took dominion over himself. By doing so, he lost dominion over everything else, and the disposition of sin—my claim to do what I like, to be my own god—became the inheritance of all mankind ever since. Satan tried this same trick on the second Adam, Jesus Christ. Matt 4:1-11 Then Jesus was led by the Spirit into the desert to be tempted by the devil. After fasting forty days and forty nights, he was hungry. The tempter came to him and said, "If you are the Son of God, tell these stones to become bread." Jesus answered, "It is written: 'Man does not live on bread alone, but on every word that comes from the mouth of God.'" Then the devil took him to the holy city and had him stand on the highest point of the temple. "If you are the Son of God," he said, "throw yourself down. For it is written: "'He will command his angels concerning you, and they will lift you up in their hands, so that you will not strike your foot against a stone.'" Jesus answered him, "It is also written: 'Do not put the Lord your God to the test.'" Again, the devil took him to a very high mountain and showed him all the kingdoms of the world and their splendor. "All this I will give you," he said, "if you will bow down and worship me." Jesus said to him, "Away from me, Satan! For it is written: 'Worship the Lord your God, and serve him only.'" Then the devil left him, and angels came and attended him. As Jesus Christ was tempted, so shall we be tempted when we are rightly related to God. When we are saved, the same temptation comes to us—“You are a child of God; you are identified with Jesus; you should think of it something to be grasped, to be proud of. So contend for your rights as a child of God.” This temptation runs on the line that because I am saved and sanctified, I cannot do wrong. If that were so, we would cease to be human. If God put us in a condition where we could not disobey, our obedience would be of no value to Him. Phil 2:5-8 Your attitude should be the same as that of Christ Jesus: Who, being in very nature God, did not consider equality with God something to be grasped, but made himself nothing, taking the very nature of a servant, being made in human likeness. And being found in appearance as a man, he humbled himself and became obedient to death—even death on a cross! We are saved and sanctified for one purpose—that God’s will be done in us as it was in our Lord Jesus Christ. What Jesus did to overcome temptation, He has graciously given us the power to do the same. Now pay attention and take note of what Jesus did. He was hungry. Satan tempted Him to satisfy himself: “You have the power, do what you want, you deserve a break today, tell these stones to become bread.” Jesus responded with the Word, and it determined His conduct. He would live by every Word that comes from the mouth of God. That is an app to use in overcoming temptation, live and make decisions according to the Word of God. Secondly, Jesus did not test God; He trusted the Father with His life and did not require miraculous proof of the Father’s love. That is another app to use in overcoming temptation, trust God’s love to take care of you when you obey Him. Thirdly, Jesus tired of satan’s deception, lies, and temptation, and He rebuked satan, reminding satan and Himself that only the Lord was to be worshipped and served. Then satan left Him and angels attended Him. That is another app to use in overcoming temptation; stop entertaining satan’s temptations, rebuke satan, and worship God. The tempter will leave and the Holy Spirit will comfort and restore you. 1 Pet 5:8-11 Be self-controlled and alert. Your enemy the devil prowls around like a roaring lion looking for someone to devour. Resist him, standing firm in the faith, because you know that your brothers throughout the world are undergoing the same kind of sufferings. And the God of all grace, who called you to his eternal glory in Christ, after you have suffered a little while, will himself restore you and make you strong, firm and steadfast. To him be the power for ever and ever. Amen. That is not all. God has given us more apps for overcoming temptation. The possibility of giving into temptation is so likely that the only safety is to look at Jesus, instead of the temptation. Rely on the Holy Spirit for power and grace, and never give up—persevere. Lifelong temptations (addictions, habits) are the toughest to overcome. In Jesus Christ there is perfect holiness, perfect patience, perfect love, perfect power over all the power of the enemy, and perfect power over everything that is not of God. In other words, all His power for overcoming temptation is ours in Jesus. Therefore, stay focused on Him. God, the Holy Spirit, will enable us to endure, persevere, and empower us to keep up the good fight. His strength is made perfect in our weakness. So don’t pity yourself, excuse yourself, or blame God for your weakness. Thank God for the battle and His grace to overcome the weakness and temptation! After all, as long as you are in the battle, you are not a captive of the enemy! Col 3:5-12 Put to death, therefore, whatever belongs to your earthly nature: sexual immorality, impurity, lust, evil desires and greed, which is idolatry. Because of these, the wrath of God is coming. You used to walk in these ways, in the life you once lived. But now you must rid yourselves of all such things as these: anger, rage, malice, slander, and filthy language from your lips. Do not lie to each other, since you have taken off your old self with its practices and have put on the new self, which is being renewed in knowledge in the image of its Creator. Here there is no Greek or Jew, circumcised or uncircumcised, barbarian, Scythian, slave or free, but Christ is all, and is in all. Therefore, as God's chosen people, holy and dearly loved, clothe yourselves with compassion, kindness, humility, gentleness and patience. We need to put our earthly, sinful nature to death and rid ourselves of all evil practices, which is walking in true repentance. We also need to put on the Holy Spirit, which is our new nature in Christ. This is not a one-time thing. It something we do daily. We do it by getting on our knees, dying to self, and asking the Holy Spirit to inhabit and reign over our body, soul, and spirit every day. Here’s another app. Prov 1:10 My son, if sinners entice you, do not give in to them. Do not give in to yourself or others to any practice that is not in keeping with a holy God. We need to keep the right company and avoid this kind of temptation. That is why we are to meet together as Christians and fellowship with each other. Heb 4:15-16 For we do not have a high priest who is unable to sympathize with our weaknesses, but we have one who has been tempted in every way, just as we are—yet was without sin. Let us then approach the throne of grace with confidence, so that we may receive mercy and find grace to help us in our time of need. Many of us suffer from temptations from which we have no business to suffer, simply because we have not asked God to deliver us. Temptation is not something we may escape. Do not think we are tempted as no one else is tempted. What we go through is the common to mankind. However, for the child of God, there is a limit to temptation. See, God has several apps for overcoming temptation! He has given us His power through faith in Jesus Christ and He has recorded it in His Word. Are we reading His Word and doing what it says? Ps 119: 9-11 How can a young man keep his way pure? By living according to your word. I seek you with all my heart; do not let me stray from your commands. I have hidden your word in my heart that I might not sin against you. The Word will help us overcome temptation if we read it and heed it. We need to allow the Holy Spirit to put His Word in our heart so He can bring it to our remembrance during times of temptation. Unfortunately, it is likely all of us have been overcome by temptation recently instead of overcoming it by the power of God. Nevertheless, I still have good news! Even if we have failed, God has an app for that, too. Jesus Christ has atoned for every failure! Heb 2: 17-18 For this reason he had to be made like his brothers in every way, in order that he might become a merciful and faithful high priest in service to God, and that he might make atonement for the sins of the people. Because he himself suffered when he was tempted, he is able to help those who are being tempted. Jesus Christ understands our battle with temptation and sin. Therefore, confess your sin to God and receive forgiveness. Remember, Christ paid the death penalty for our sin so we could have His life and His power over temptation. So believer, if you have failed to overcome temptation, ask God for the grace to repent and His power to resist the devil and temptation. Do this every day. If you have never made Jesus your Lord and Savior, you have no power over the devil, sin, or temptation. So, confess Jesus as Lord today, repent and be baptized, and you will receive the power of the Holy Spirit to overcome temptation.